I’ve got a great gift guide for the foodie and host(ess) in your life! I’ve rounded up some of my personal favorites as well as some things on my own Santa List. There are gifts in all price ranges, too! These are on my personal wish list, and I’m hoping I was a good girl so Santa brings me some! They’re DISHWASHER SAFE – all parts! I hate handwashing. Hate it, I say! I also tend to break glasses when I’m handwashing after an evening of entertaining. I blame my exhaustion, and not the amount of wine I’ve had. A good dessert stand is hard to find, especially for a great price! This would make a great hostess gift, too! These beauties come in a bunch of other sizes, and all for a great price. I love when you can see the contents of your canisters instead of having to play Guess What’s in the Box while you’re in the middle of cooking. The wood tops are beautiful, too. Every kitchen deserves a good ole acacia serving bowl. They’re classic and go with just about every kind of place setting. This is my slow cooker, and I’m slightly inappropriately in love with it. You can slow cooker, steam, roast, brown, and sauté all in this little vessel. It’s perfect for when you need to brown your meat before slow cooking. Just think: one less dish to clean! This puppy gets HOT, too. The top is dishwasher safe, and the insert cleans very, very easily. OKAY. Before you get mad at me about the price of this little gem… lemme tell you something. If you cook often, you need a good Dutch oven. They’re the perfect cooking vessel. And Le Creuset is the Queen (King? do we think it’s a he or a she?) of Dutch ovens. Dutch ovens are perfect for cooking just about anything you make because 1) it cooks more evenly than any old skillet 2) it can transfer directly to the oven and 3) they’re made to last a lifetime. I got my biggo Le Creuset honky tonky Dutch oven about 18 months ago, and I use it at least twice a week. If you’re like, “That Dutch oven could get me about 5 pairs of shoes…” then go for the Lodge Dutch oven instead. I have 3 of these bad boys, and they’re very durable as well. They’re not as lifetime-quality as the Le Creuset, but they’re perfect for your first (or third) Dutch oven. They still cook evenly and are able to be transferred directly to the oven. They have a bajillion colors, too. Here’s another one that fits up to 36 cupcakes or 3 large cakes if you or your gift recipient are a mongo baker. This is a great little gift for a host(ess), coworker, or a stocking stuffer for your favorite foodie! I thought this one was so pretty and unique, but this fish one is kinda funky and quirky. I love me a good cereal bowl. I know a lot of folks these days aren’t doing traditional dish ‘sets’, so these would be a great gift for those kinda people. They’re pretty classic and the color is neutral enough so they’d match just about any dish set. I know, I know. Le Creuset, again lady!? But… think about it… you use your salt and pepper every time you cook. I actually have a salt well like this one instead of a mill, but I do use my pepper mill every time I need pepper. It really enhances the flavor to grind black peppercorns instead of using the pre-ground stuff. If you’re an already ground kinda person, then a well like this one is perfect! It makes it easy to pinch and sprinkle on your delicious dishes. 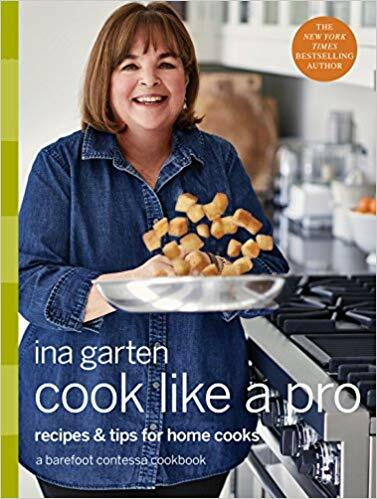 The Barefoot Contessa has a new cookbook! This one has rave reviews, and it’s on my Santa List this year! I love her recipes because she uses simple, high-quality ingredients to make delicious meals. 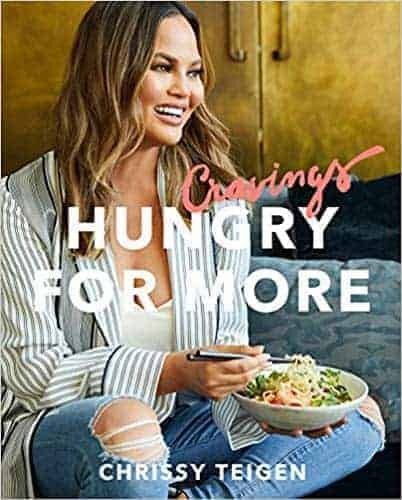 If you want to laugh your face off while you’re reading a cookbook, then Chrissy Teigen’s cookbooks are your jam! I also legitimately want to cook EVERY recipe in this Cravings book and her last one. The pictures will make you drool, and her humor will have you rolling on the floor. 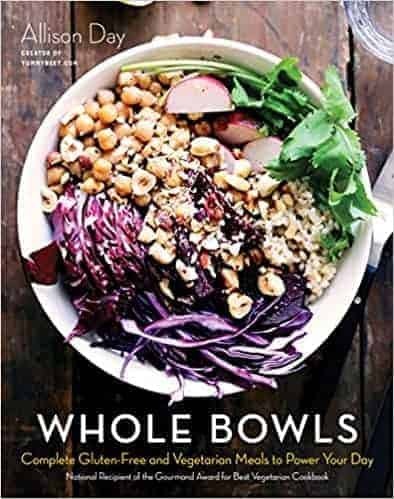 This cookbook is very outside of my comfort zone, but we’re always looking to be a bit healthier. This one’s on my wish list, too! I’m hoping to learn how to make some easy lunches + dinners that aren’t salads (sorry, not sorry) and are deliciously filling. One of my favorite kitchen flavor bombs! A little white truffle oil goes a long way, and it’s perfect for the favorite foodie in your life. We love ours on roasted red potatoes. I talk about these two lovelies all the time. They’re both delicious on so many things! These would be a great little gift for your favorite foodie, host(ess), or as a stocking stuffer! Be sure to check out my Gift Guide for the Foodie + Hostess from last year!